This Property Partner review is 100% unbiased and based on my own experiences. 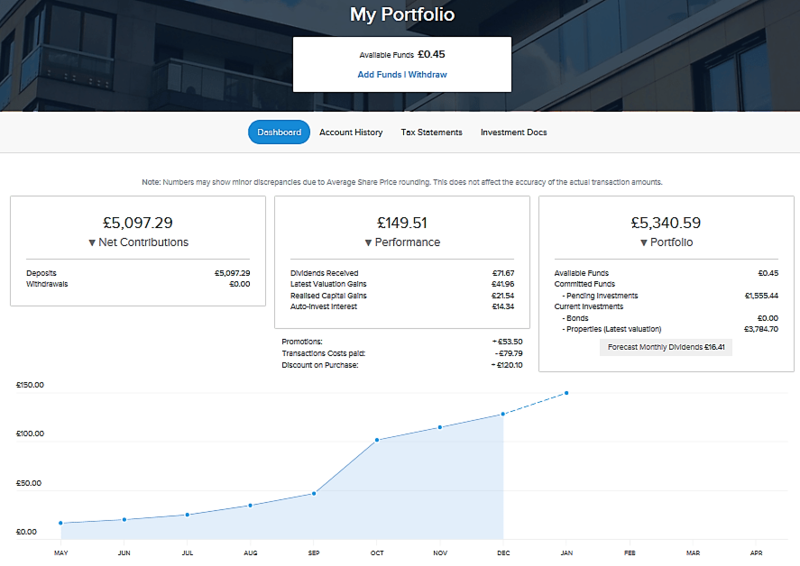 I opened an account with Property Partner in January 2018. One year went by and it is time to recap the results and share my personal experiences and opinion. The platform was launched in January 2015. Property Partner is only the trading name of London House Exchange Limited, registered in the UK, authorised and regulated by the Financial Conduct Authority (FCA), which always helps to add a feeling of security about the legality of their operations. According to their website, the uninvested funds are held in Barclays bank. In the event that customers are unable to recover them, they are protected by the Financial Services Compensation Scheme (FSCS), to a limit of £85,000 (bank default) or £50,000 (Property Partner default). The funds used to buy property shares are not protected. 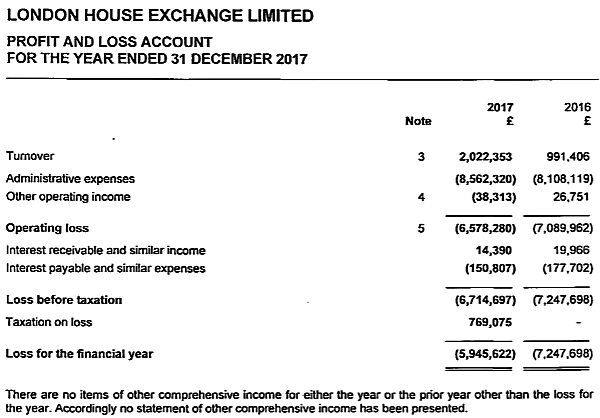 The whole company is owned by LHE Holdings Limited with a registered office in Jersey (presumably to reduce tax expenses). Property Partner works as a stock exchange for property, allowing investors take a view on individual property assets, diversify and manage their own portfolios. As an equity site, the share buyers own the property. 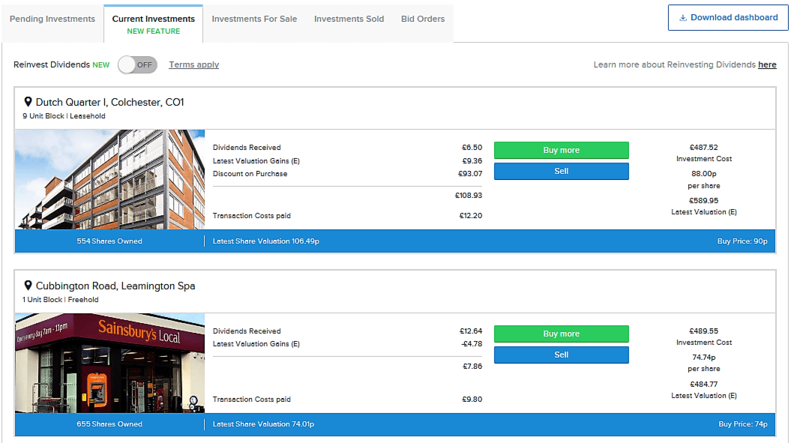 The platform deals with three main property asset classes: Residential, Purpose-Built Student Accommodation (PBSA) and commercial, perfect to archive a higher level of diversification and lower the risks. Property Partner manages the rental collection and pays dividends to shares holders. It also takes care of maintenance issues, tenancies and mortgages, allowing investors to own property without all the husle involved with it. Development bond loans have been added recently returning a 9-10% interest at the end of the term. The annual total return averages 7.3% (rental income + capital growth) since inception. The first properties posted on the platform where mainly located in London. After the Brexit vote and the uncertainty brought to the market, Property Partner changed its investment strategy, diversifying acquisitions over different areas. On the image down below, we can see that the returns are decreasing year over year. Although the returns are not as high as in other platforms, I personally consider the team has done a great job, noting the price of properties coming to the market have dropped by a 1.5% in December 2018 in the UK (data from Right Move). An additional 0.5% Stamp Duty Reserve Tax when buying properties form the Resale Market. Properties are held for a period of 5 years at which time, shareholders vote on holding or selling. The Resale Market offers the chance to sell shares at a premium or discounted price. The Resale Market is active and the average selling time is low. In December I sold 100 shares of Golden Hill Fort, Isle of Wight at a 13% premium price in less than 12 hours. At the time of writing, there are plenty of properties discounted up to 17% within 2-3 years selling target (Brexit uncertainty is bringing bargains). 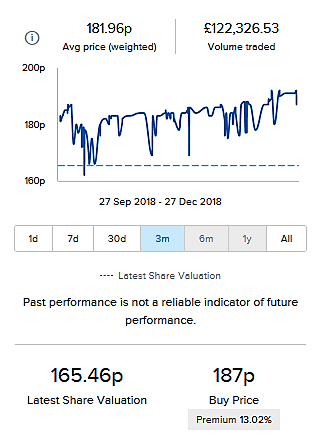 Click on here to see an example of shares I bought back in July 2018. The financial health of Property Partner is not so positive. In 2016, they had a loss of more than £7m Pounds and £6m for 2016. We see an improvement, however. I am little curious about the 2018 and 2019 results, and how Brexit and interest rates rise will affect the company’s stability. Keep this link handy to check it out in the future. What happens if Property Partner fails? Good news is that every property investment is held separately from the assets and liabilities of Property Partner. If it bankrupts, an alternative manager would be appointed to continue the management of investors properties. Monies held in the accounts are also ring-fenced from Property Partner assets, according to FCA rules, and would be returned to investors in a case of financial distress. The minimum deposit is £250 (debit cards accepted). The minimum withdrawal is £50. Bank account verification required according FCA anti-money laundering rules. International investors welcome (except USA residents). The recent drop in £ makes it more attractive for overseas investors. Investors do not lend money to the platform, but own equity property shares instead. Property Partner recently introduced “Innovative Finance ISA”. – where UK residents don’t pay taxes on capital gains or dividends. Refer a friend program available. Shared up to £1500 depending on investment size. The website is easy and intuitive to navigate. The properties page displays all the investments available, from new listing to resale market, with a total value of £123.7m at the time of writing. 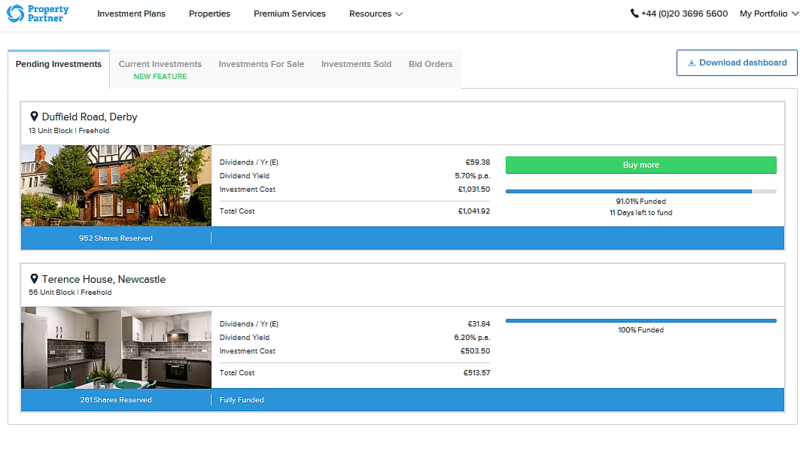 The grid view makes it easy to find the deal you are after, allowing you to sort properties by dividend yield, HPI or discounts rate. The map view is also great for those who rather find properties by location. No members have access to these menus, head over yourself to check it out if you haven’t done it yet. Let’s get into the part that only members can see, the portfolio page. Current investments held on the portfolio. Ideal to track how your properties perform. 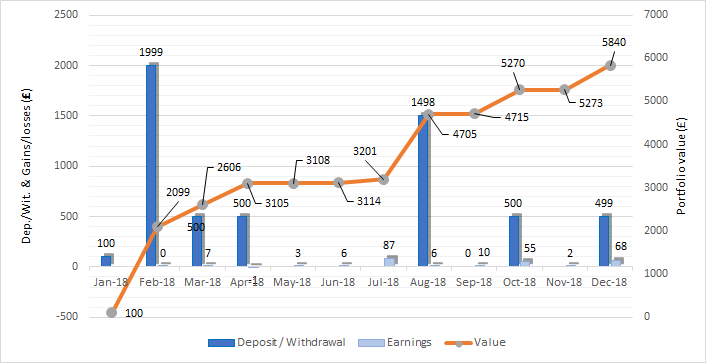 The chart down below shows my monthly portfolio value increase, deposits and returns. In January I made the first deposit of £100 to get started. I was happy with the first impressions and deposited more during the next three months. I like to review my investments on a monthly basis to have a better understanding of how hard my money is working for me and compare the returns with different platforms. That information is important to make better decisions in the future and keep feeding the learning curve. So, the final number to look at is 6.9% return of my invested capital for 2018. I am happy with that, considering that the average estimated annual return for the whole platform is 5.1%. Buying properties at a discounted price and selling Golden Hill Ford at a premium are the moves that propelled my returns. Check what property shares I own and how much cash flow they are giving me on this monthly updated page. The process of getting started is intuitive and simple but it might be worth to watch this webinar video to get you introduced with the platform before starting. Experienced team with a professional approach. Detailed and transparent investment analysis and strategy. Resell Market is a joy, great opportunities and fast selling. The website is easy to navigate and enjoyable to use. The investor owns the property. Slow purchase process, properties can take up to 2-3 month to be available on the resale market. In some cases, investors do not earn any income before completing the purchase. My experience with Property Partner after one year has been positive in general. The detailed investment description, regular market outlook updates and the general professional approach encourage me to keep using the platform. UK property has historically performed well, although the market is uncertain at the moment, I am confident it is a good long-term investment. Start-up companies have generally a negative income sheet and can take up to a few years before they get to the green numbers. From my point of view, the positives overcome the negatives and I will keep considering any future investment opportunities that come through the website. 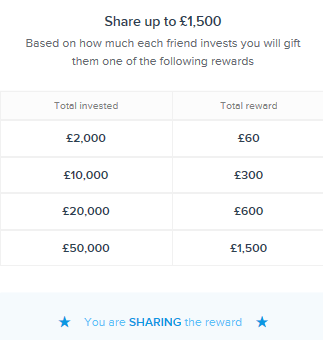 As commented above, if you would like to join Property Partner you can do so using my link HERE and we will both share a cashback from £60 up to £1500 depending on how much you invest. Hope my review has been useful to you. If you have some questions don’t hesitate to leave a comment down below. I’m not paid or employed by Property Partner. I have invested and continue to invest my own money through this platform. The sign-up links on this website are referral links. When you sign up for an account through my website, I receive a referral fee directly from the companies, and sometimes you will get a commission too. Congrats on the latest brexit development! 😉 I hesitated to enter PropertyPartner (I did sign up though), due to the expected fluctuations in the £ going forward. I’m quite surprised to see the so far limited fluctuations actually (it only goes up/down with 2-3%). I’m pretty sure the £ will remain strong long term, so perhaps it’s time to start investing with PropertyPartner! Thanks Nick! I am also surprised with the EUR/GBP low volatility on Tuesday. That may be a sign showing that the pound is already too oversold if compared with the UK economy. Although, it’s difficult to predict future valuations, as any unexpected major news can show up at any time and catch us by surprise. I am also pretty sure that the pound will remain strong long term too, as it always has in the past. I’m very excited you made the move to Property Partner! Can’t wait to read what you have to say about the platform in your monthly reviews, compare returns and discuss opportunities. If you like real estate. which I know you do, you will definitely enjoy the platform. You can spend hours analysing properties and buy and sell shares, in a similar way you would do with a brokerage account to buy company shares. Much more exiting than Mintos, hehe. Have a nice property investment! 7,3% on a REIT… mmm good return 🙂 What is their balance? How much leveraged is this? Usualy REIT has 50/50 equity/bank loans. When interest will rise if its higly leveraged you returns will deteriate as more will be paid to the bank. Its 0% rate now, so calculate your returns on 2-4% higher interest. Yes, it’s not too bad, but used to deliver better returns. Property market in the UK has been strong most of the time. Interest rates can vary depending on the property, but in most cases it is between 3-4% fixed interest rate for 2 years. Everything is pretty well displayed in the property project page.